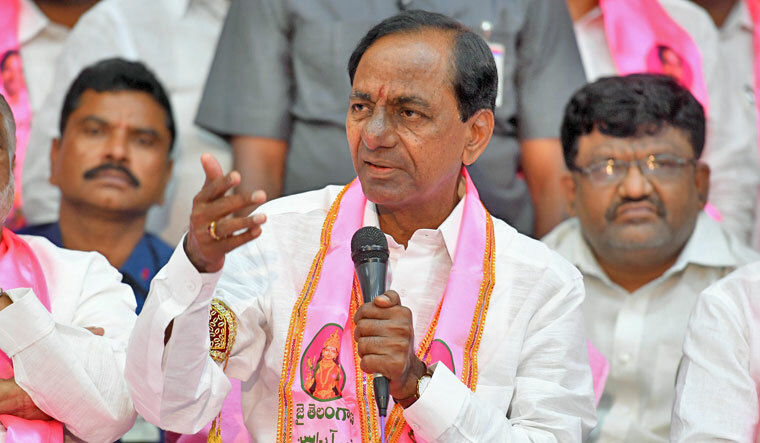 TRS supremo Kalvakuntla Chandrasekhar Rao (KCR) will be taking his oath as CM on Thursday at 1.30PM. The oath taking ceremony will be held in Raj Bhavan in the presence of Governor ESL Narasimhan. On wednesday, Principal Secretary of Election Commission and Telangana Election Commissioner Rajath Kumar met Governor Narasimhan and handed over the list of candidates who have won in 119 constituencies. Click here to check the list of 119 candidates who won Telangana Assembly Elections. Next articleఅజిత్-ర‌జినీకాంత్.. ఎందుకు ఈ పోరు.. ఎవ‌రికోసం..?